These lenses are breathtakingly violet. They scream attention until Senpai notices you. Dolly Eye Dolly Eye pink lenses appear extremely vivid against dark brown eyes leaving them shiny. The color really pops out & help you achieve a dolly vampire effect which is beyond explanation. The lenses create a beautiful duo with pink hair. 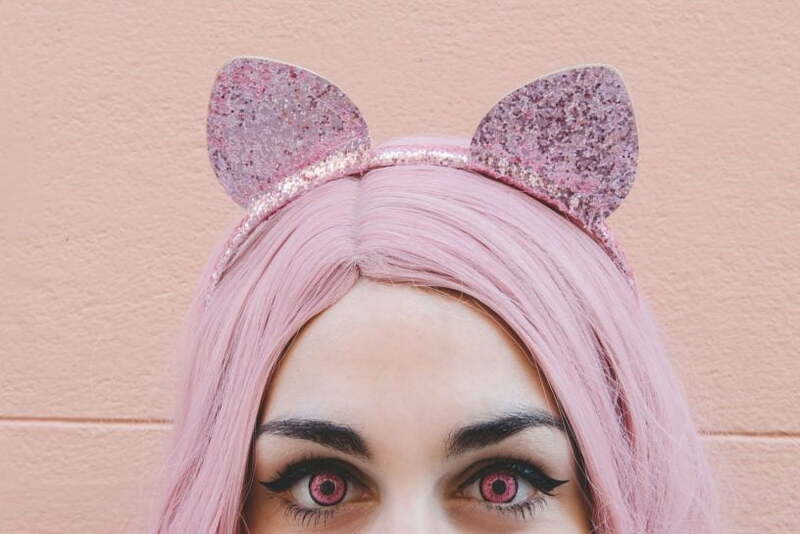 It seems creativity with Dolly Eye Dolly Eye pink lenses sees no bounds – imagination is the limit. Try these lenses for an unworldly change and look completely exuberant on your festive occasions.